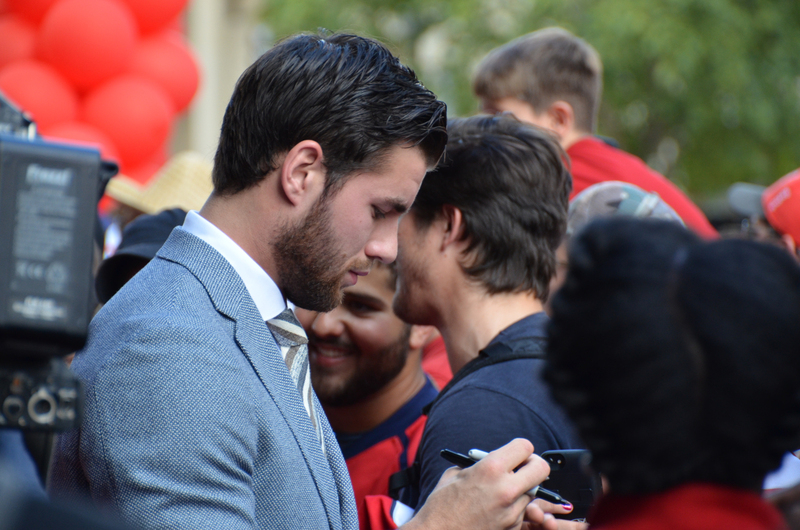 The Washington Capitals will host Rock the Red Carpet on F Street in front of Capital One Arena from 4 to 5:30 p.m. on Wednesday, Oct. 3, prior to the Capitals Banner Raising Night presented by GEICO. 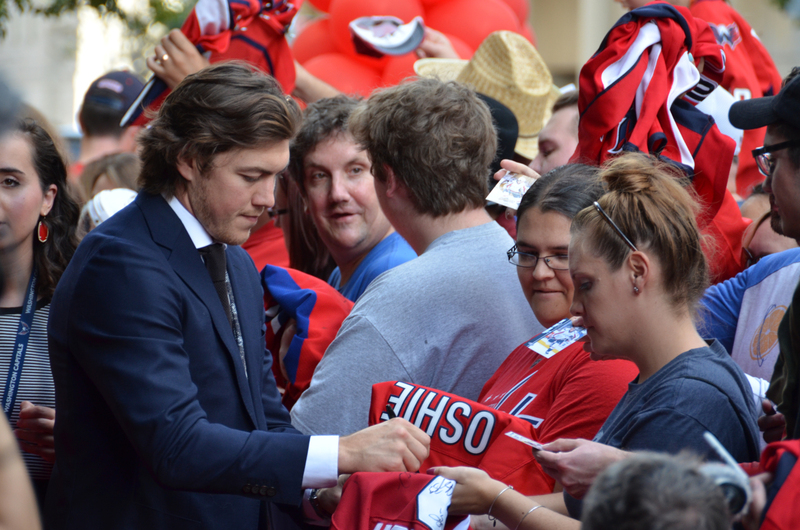 (Photo set from last year’s event are here). The Capitals open the 2018-19 season presented by Capital One Bank by hosting the Boston Bruins at 7:30 p.m. that evening. 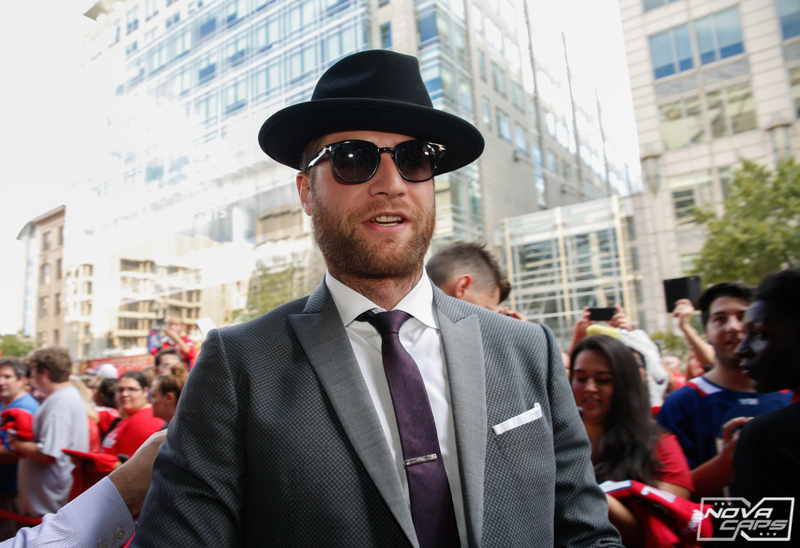 The Capitals 2018-19 team will begin arriving in cars provided by Lexus on F Street, between 6th and 7th street NW, at approximately 4 p.m. They will be introduced and escorted by preselected fans down the red carpet. Upon arrival players will greet fans and pose for pictures. The event will be presented live on NBC Sports Washington (NBCSW) and NBCSportsWashington.com as part of the NBCSW’s full day of special opening-night coverage. This entry was posted in News and tagged 2018 Opening Night, 2018-2019 Washington Capitals, Boston Bruins. Bookmark the permalink.